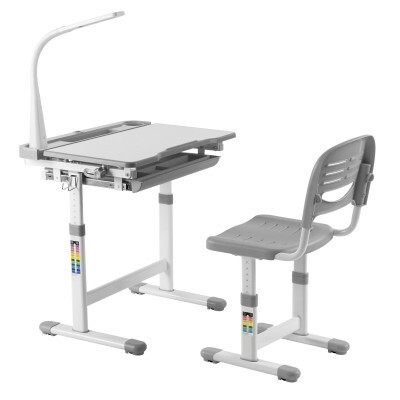 Midi Desk set comes with an LED Lamp, a Steel Bookstand, a Cup Holder, and a fluffy Animal Seat Pad. Its wide desktop gives your child all the space they need to work, play and create. Midi has an adjustable desktop which can be tilted to provide the perfect angle for whatever fun activity your child is doing. 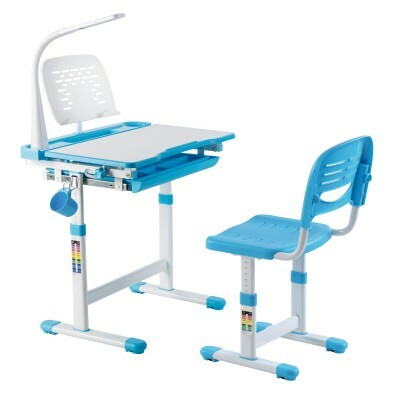 There is a pull-out tray under the desktop for children to store stationery and small things. 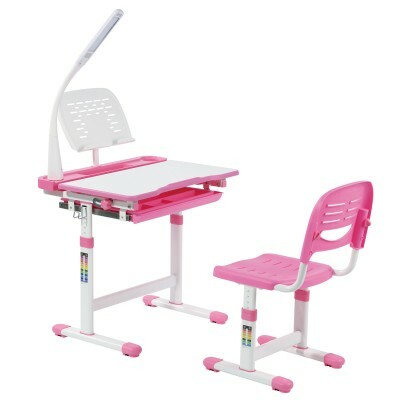 Midi Pink Desk set includes: Desk + Chair + Steel Bookstand + LED Lamp + Cup Holder + Fluffy Pink Ti..
Midi Grey Desk set includes: Desk + Chair + Steel Bookstand + LED Lamp + Cup Holder + Fluffy Beige B..
Midi Pink Desk set includes: Desk + Chair + Steel Bookstand + LED Lamp + Cup Holder + Fluffy Brown T..